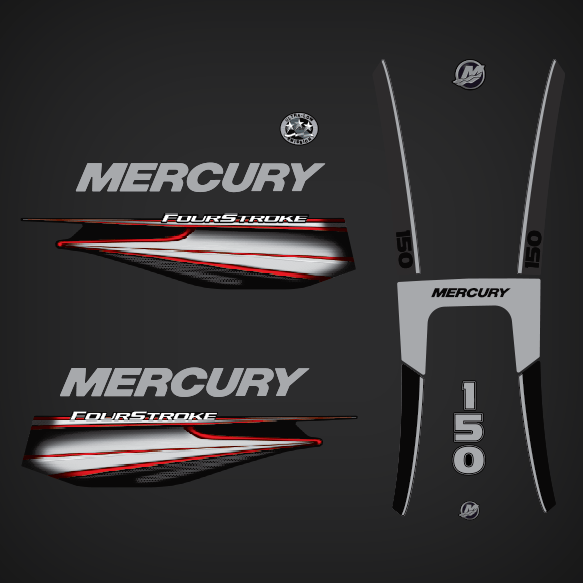 Mercury 150 hp Fourstroke decal set replica for 2011, 2012, 2013, 2014, 2015, 2016, and 2017 Mercury Outboard engine covers. 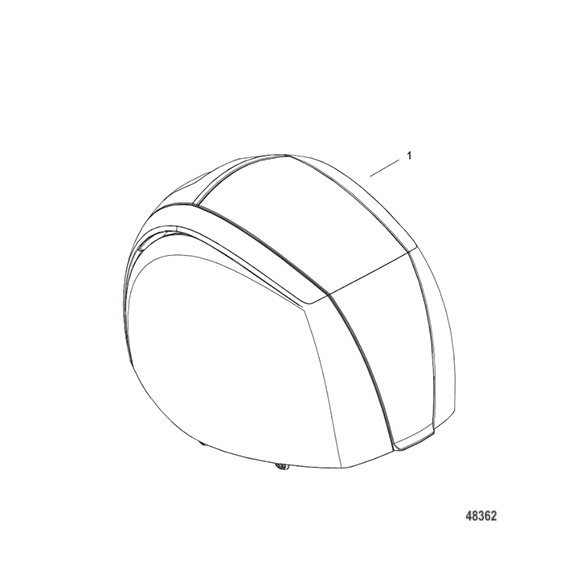 MERCURY DECALS on the sides are made of Silver Vinyl, this is a die cut FLAT VINYL DECAL, we have seen on some models they come with a dome effect gel coat or 3d as many people call them. Custom colors are available upon request, send us an email to request your color before ordering. This is a decal replica, if you want OEM decals and emblems with all what is included on an Original Mercury decal kit, please contact your local Mercury dealer.